Stainless steel Z glazing clips can be used when glazing a greenhouse or replacing broken panes. Simply slip over one pane of glass and then slip the second pane into the slot. You are advised to use two of these Z clips for each overlap of glass. 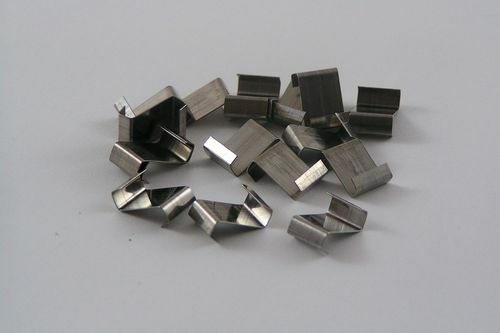 These greenhouse overlap glazing clips are made of stainless steel. Sold in packs of 50, 100 and 200 z clips. Always wear gloves and handle glass with care. Galvanised steel W greenhouse glazing spring clips are also available to buy from EdenSupplies.